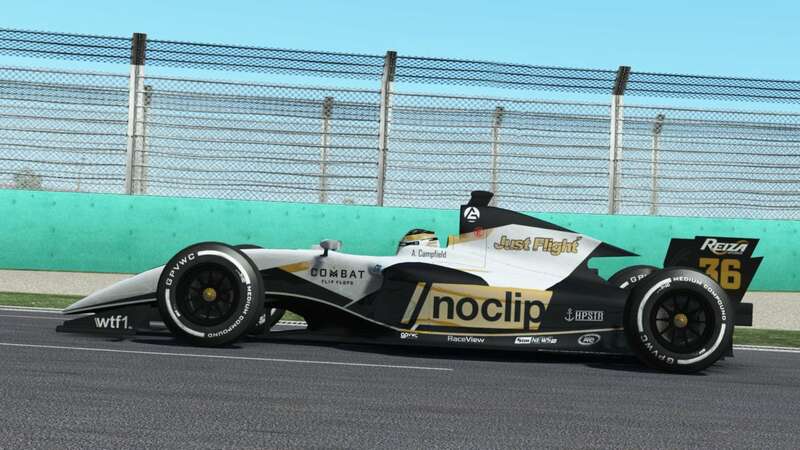 The GPVWC FC-018, used in the 2018 Formula Challenge series in the GPVWC, is a brand new car built exclusively for GPVWC. It is part of the “CL Modular” family, allowing drivers to easily climb the career ladder of the league. The car is powered by a GPVWC 3.5L V6 engine and a Drag Reduction System (DRS) was introduced to Formula Challenge for the first time in 2018. For the first race, we used our preseason livery pictured below.